Frustrated. Annoyed. Irritated. Ignored. These are the feelings you have felt the last time you tried reaching out to a potential business partner or customer and never received a response. It’s extremely frustrating when a request goes unanswered. So, how do you follow up without being too annoying? 1. Always Assume the Best. Remember, don’t take it personally. There is most likely a valid reason why they didn’t get back to you. Nevertheless, be sure to bring it to their attention that you’re waiting for a response. Maybe you can write something like this, “I hope you received my email. I haven’t heard back so I wanted to follow up on my previous message.” Give the recipient the benefit of the doubt. 2. Give the Recipient an Easy “Opt-Out”. 3. Appeal to a Person’s Passion. According to DMR study, an office worker can receive 121 email per day. One way to break through the clutter is by mentioning a person’s passion. The next time you follow up, try this…mention something that you both have in common. Maybe something about their pets, sports team, or a vacation they went on. You can often learn a person’s interest through their social media accounts. 4. Make Contact at Different Times of the Day. 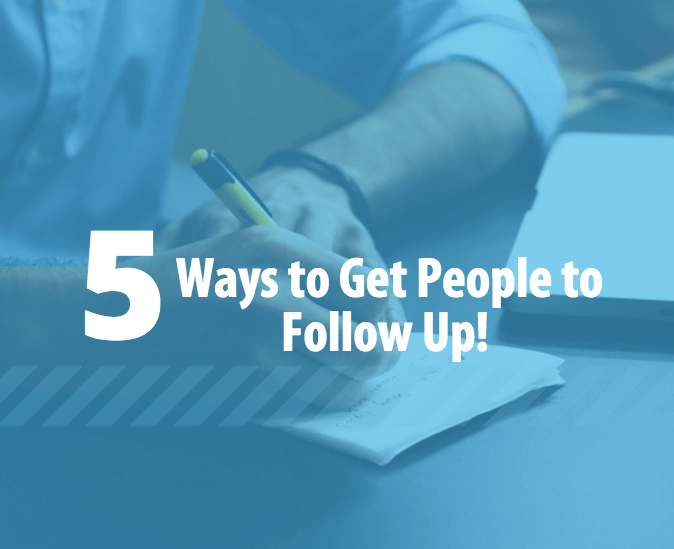 Next time you schedule a follow-up email or phone call, look back to see the last time you reached out and be sure to change up the times. Perhaps the person is generally busy during the mornings, or evenings. Change it up, and chances are you’ll see a difference! 5. Use the “Three Times and You’re Out” Rule. Follow up at least three times before you give up and allow a week or two in between your messages. After three messages, the person is most likely uninterested. Anything over three messages can be interpreted as “too much”. Keep Grinding and Happy Piquing!